Adam Solomon is a multi-talented Juno Award winning musician. Born in Mombassa, Kenya, Adam began performing at an early age, playing kivoti (flute) and kayaamba (shaker) at village celebrations and festivals. He established his career playing lead guitar and recording with some of Kenya’s most popular bands and musicians, including Joseph Kamaru, Daudi Kabaka, the Mombasa Roots band and more. Adam’s touring credits include workshops and performances with Congolese superstar Papa Wemba and Ismael Lo from Senegal. Adam sings in six languages, including Swahili, English, and Arabic. 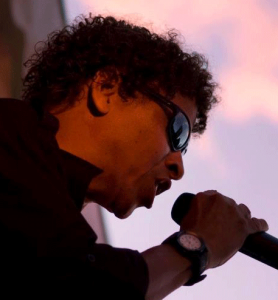 Also known as “The Professor”, he’ll be performing at this year’s Regina AfroFest with his multicultural band Tikisa. Together, they’ll create unique sounds that combine traditional and modern coastal East African rhythms, Soukous, Makossa, and Highlife – that will keep your body grooving and senses tingling. This is a show you’ll not want to miss! Casimiro Nhussi is an accomplished musician, professional African dancer and choreographer. Born in Mozambique and based in Winnipeg, Nhussi grew up in a village in Mozambique where he learned traditional African dance. His artistic inspirations are from the African cultures & traditions where dance & music are brewed in the same pot. 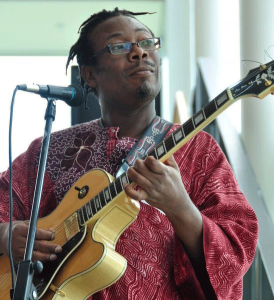 Casimiro will bring the Regina AfroFest stage alive, performing with NAfro Band’s blend of African musical instruments such as African hand drums, percussion, xylophone, mbira, xitende, gangwe and cajon with nylon guitars, saxophone, trumpet…. 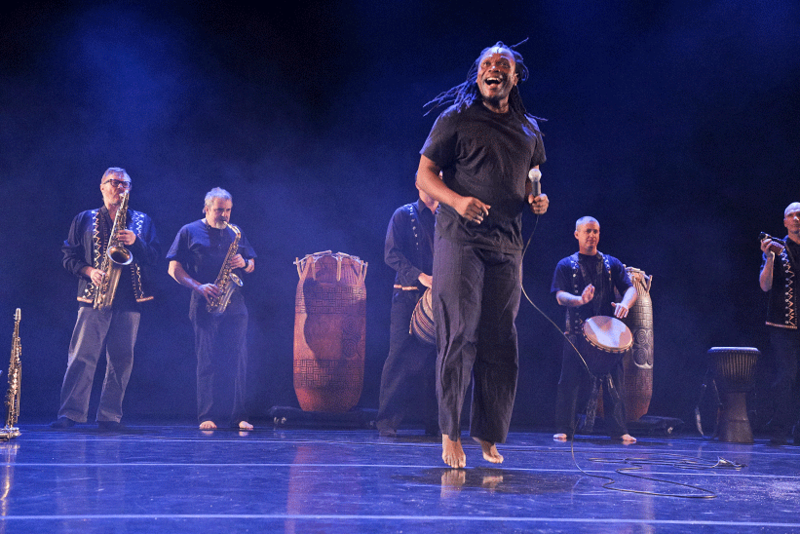 Here’s your chance to travel through the different music textures of Mozambique and witness one of Canada’s most dynamic African dance sensation. Come join us let’s take a journey to Mozambique together! Oral and his reggae band joined us last year from Saskatoon, and will be rocking the crowd again this year. The group has been extensively involved with the Saskatoon World Music Festival and the Reggaefest Concert Series in Saskatoon for several years. We are happy to have them back on our stage. 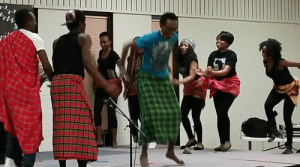 Afro Ngomaz is a Kenyan dance group based in Regina, SK. The word Ngomaz means ‘Drums’ in Swahili, however, most people in Eastern Africa also refer to music as Ngoma. That said, the literal English translation of Afro Ngomaz is AFROMUZIC. The dance group is made up of young international students and immigrants, including refugees, who love music. They come together to dance, entertain themselves and share the diversity of African music and culture. Their dance performances are in honour of all 54 African countries. 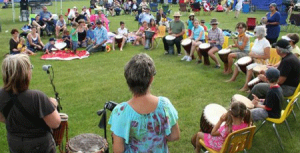 On Friday, July 3 during the lunch hour at City Square Plaza, Joanne Crofford and Jay Stoller, two seasoned drum facilitators will bring positive energy and help workshop participants develop their knowledge of African drumming. No sign up require. Just show up and be prepared to have fun while learning to play African drums, all in good company! A fusion of lively dance, traditional drum beats and contemporary grooves. Tribal Vibes Wild Fire is all about; peace love unity and respect!!!! Kizomba is one of the most popular genres of dance and music originating in Angola, a southern African country. Also known as the African tango, Kizomba music is characterised by a slower and usually very romantic rhythm, sung generally in Portuguese. Kizomba music is accompanied by Kizomba dance with captivating movements and sounds. Infused with softness and sensuality, Kizomba allows for much creativity and freedom. On Friday July 3 & 4, come experience and learn some mesmerizing and flowing Kizomba dance movements. It’s all about connections and once the connection is established you’ll be transported to another world in which everything is said without a word. 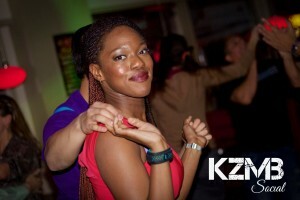 Flany is the founder of Kizomba Regina and offers dance sessions. Visit her website for more details. 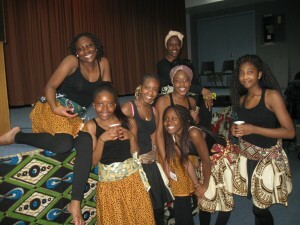 Tombi Dance group is a vibrant group of young Zambian girls based in Regina, SK. Tombi means ‘Little Girl‘ in Nsenga, an Eastern province tribe of Zambia. Their dance moves are representative of some of Zambia’s popular traditional dances, where specific dances and accompanying songs are performed for every occasion, age group and gender. While Zambian traditional dancing is also part of entertainment, through song and dance, messages are conveyed and beliefs, legends, folklore and history for future generations are passed on. Come learn some Zambian tradition and culture. Watching may not be an option! 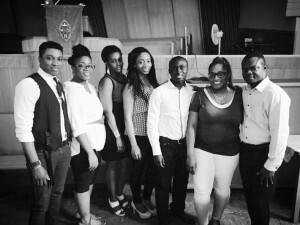 We’re excited to introduce the praise and worship team to this year’s AfroFest. No matter your religious background you’ll be moved by the contemporary gospel rhythms. We anticipate a whole lot of soulful music and big sound!